In this article we will share with you on how to display the full post body text at home page & index pages for Contempo Blogger responsive themes. Blogger users already know by now, the new responsive Blogger theme for example Contempo & Soho displays post snippets or summary for homepage & index pages. 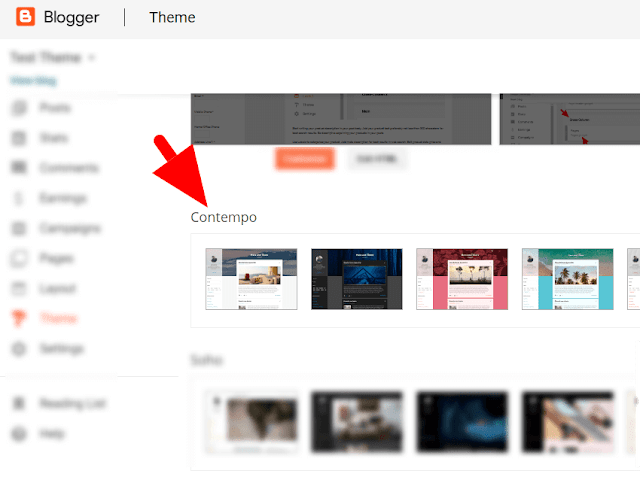 While for Emporio & Notable responsive Blogger themes, the post layout just displays the Post image & title with sharing icon so users can choose which theme would fit their personalized preference best. Here's the step-by-step guide on how to add full post body text for Contempo theme for homepage & index pages. We will also include on how to safely remove the "Read More" link using CSS at Contempo Blogger theme index pages. Backup your current theme beforehand. Refresh your blog page to see the changes. refresh blog pages to see the changes. For the full working & initial tutorial for customizing Contempo Blogger responsive theme is written here by our contributors. If you have any issues use the comment box below to discuss with blog contributors & our community.